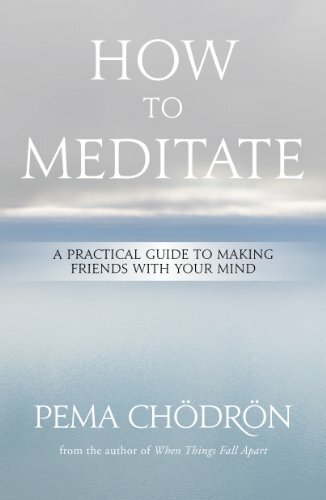 Pema Chodron is treasured around the world for her unique ability to transmit teachings and practices that bring peace, understanding, and compassion into our lives. With How to Meditate, the American-born Tibetan nun presents her first book exploring in depth what she considers the essentials for a lifelong practice. When we look for a meditation teacher, we want someone who has an intimate knowledge of the path. That’s why so many have turned to Pema Chödrön, whose gentle yet straightforward guidance has been a lifesaver for both first-time and experienced meditators. With How to Meditate, the American-born Tibetan Buddhist nun presents her first book that explores in-depth what she considers the essentials for an evolving practice that helps you live in a wholehearted way. There are numerous ways to work with the mind. One of the most effective ways is through the tool of sitting meditation. Sitting meditation opens us to each and every moment of our life. Each moment is totally unique and unknown. Our mental world is seemingly predictable and graspable. We believe that thinking through all the events and to-dos of our life will provide us with ground and security. But it’s all a fantasy, and this very moment, free of conceptual overlay, is completely unique. It is absolutely unknown. We’ve never experienced this very moment before, and the next moment will not be the same as the one we are in now. Meditation teaches us how to relate to life directly, so that we can truly experience the present moment, free from conceptual overlay.